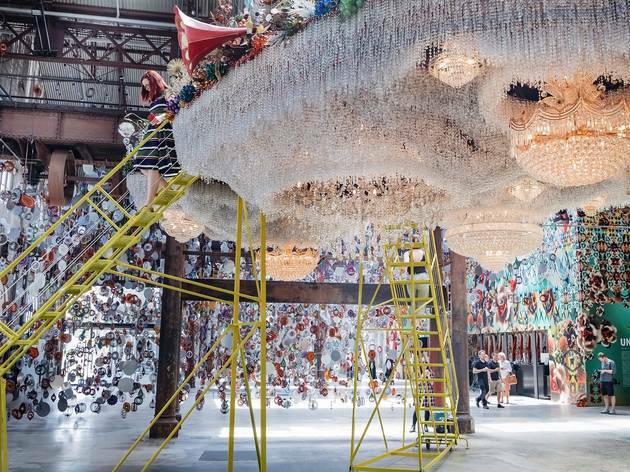 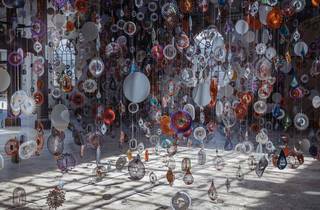 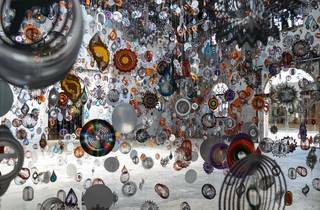 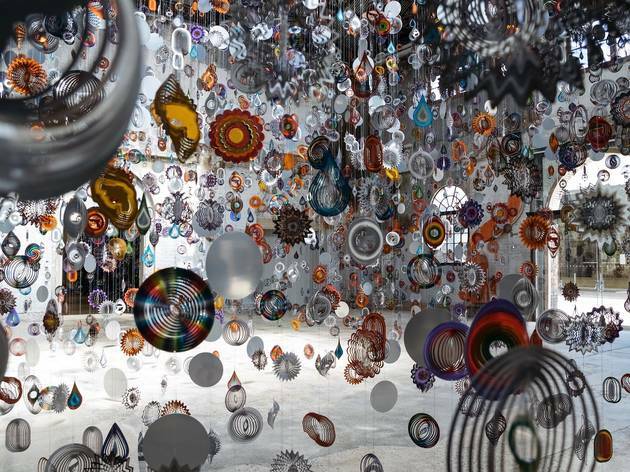 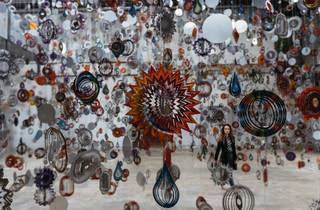 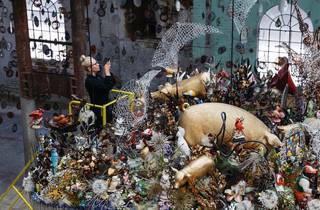 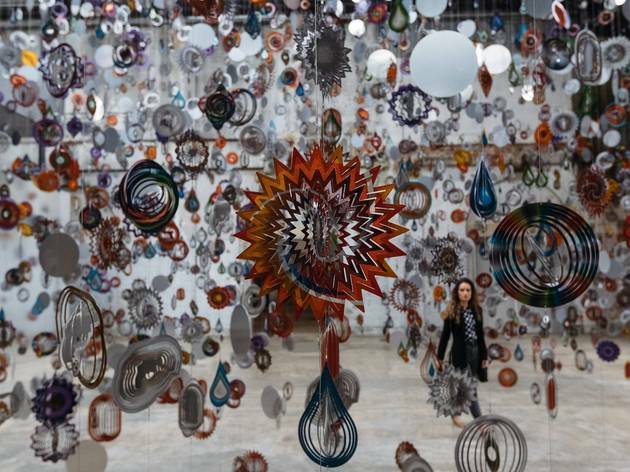 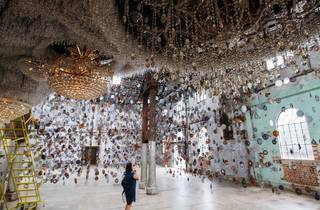 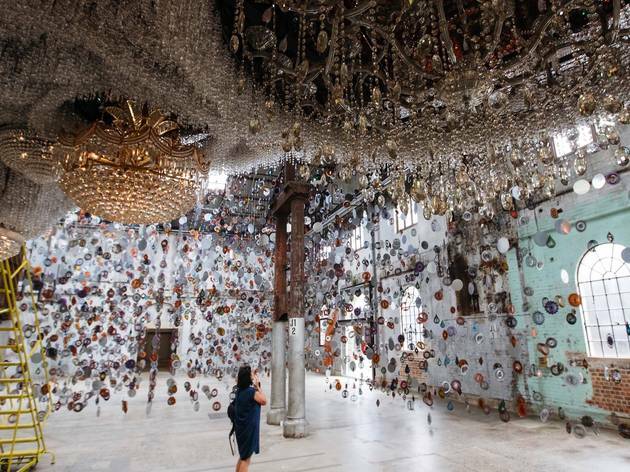 American artist Nick Cave – not to be confused with the Australian singer-songwriter – is bringing 16,000 wind spinners, 24 chandeliers, 10 miles of crystals, thousands of ceramic birds and one crocodile to Sydney. 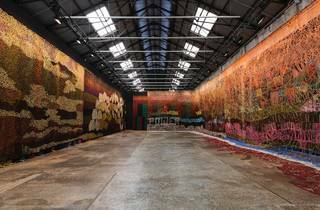 Cave’s Until is a mammoth new installation work coming to Carriageworks from November 23 2018. 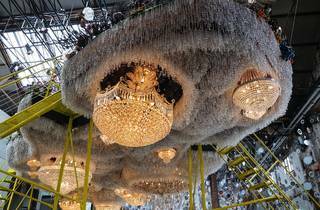 It will be open until March 2019, so you’ve got plenty of time to explore every nook and cranny of this extraordinarily detailed, opulent, kitschy world. 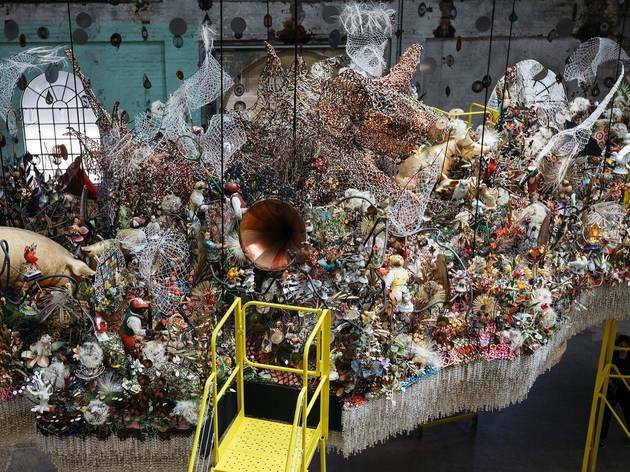 Cave is best known for his ‘soundsuits’: brightly colourful, full-body costumes covered in noise-making materials made of everything from dyed human hair to plastic buttons. 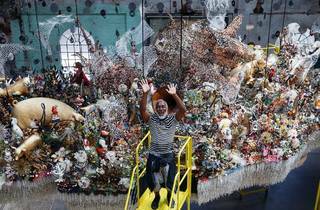 He made his first soundsuit in 1992, as a response to the Rodney King bashing, and in late 2016 brought a herd of horse-shaped soundsuits to Carriageworks for a memorable performance parade. 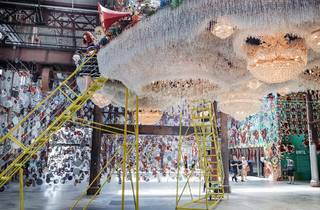 While the soundsuits aren’t the focus of Until (although one has crept in), a visit to the installation is a little like stepping inside the belly of Cave’s creations. 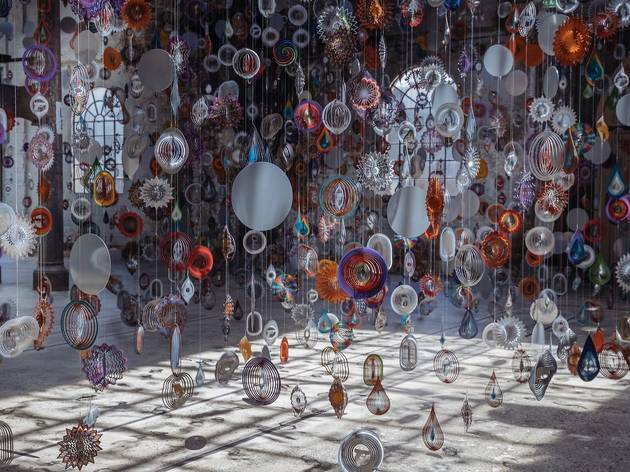 Thousands of small found objects have been pulled together to create three major spaces full of surprising colours and textures. 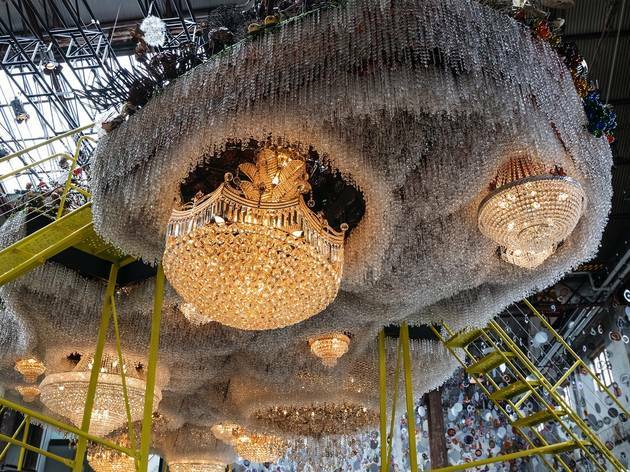 At the centre of this all is a huge hanging crystal cloud, topped with a beautiful “private garden”. 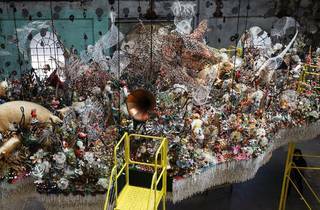 You can climb one of four ladders for a peek into this secret world, complete with its own crocodile, golden gilded pigs and blackface lawn jockeys. 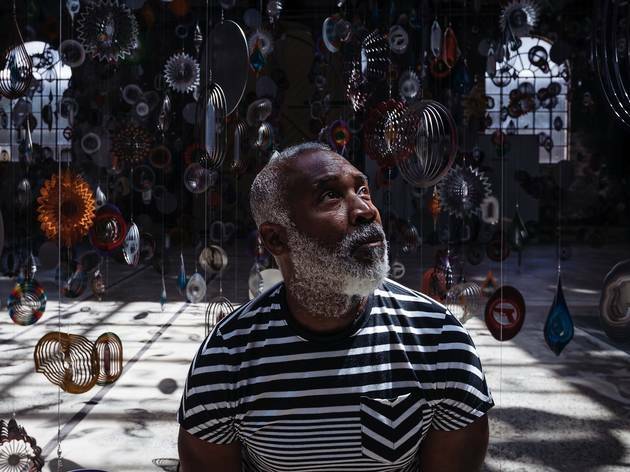 If those jockeys seem like an unusual addition, there’s a strong political slant to all of the work by Cave, who has a history of reclaiming racist paraphernalia as a black artist. 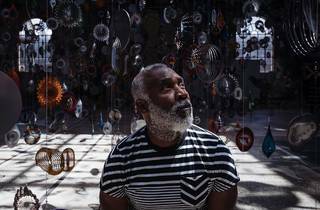 The title “Until” refers to the frequently used phrase “innocent until proven guilty”, but the installation addresses gun violence and race relations in America, paying gentle tribute to some of the black men in America shot by police in recent years. 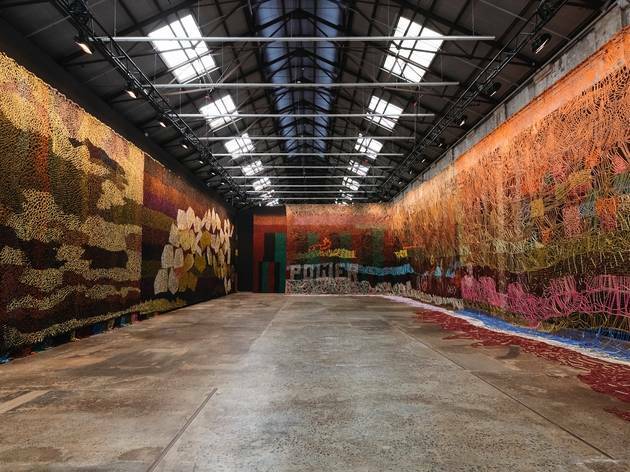 Carriageworks is also planning a line-up of performances by artists, musicians, dancers and poets who’ll respond to the work and perform in the installation space, underneath the cloud. 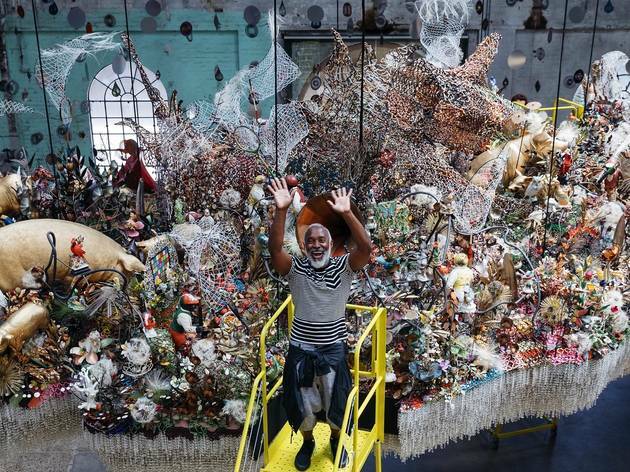 There’s no word yet as to who will be booked for the Sydney program, but Solange Knowles, choreographer Bill T. Jones and singer Brenda Wimberly all made appearances when the installation premiered at Massachusetts Museum of Contemporary Art in late 2016. 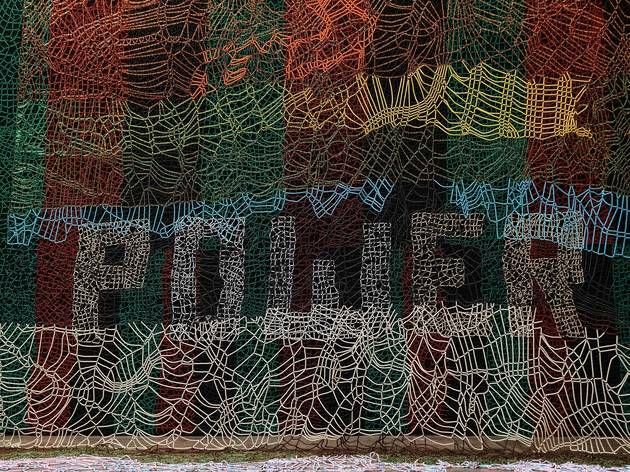 Can't wait until November? 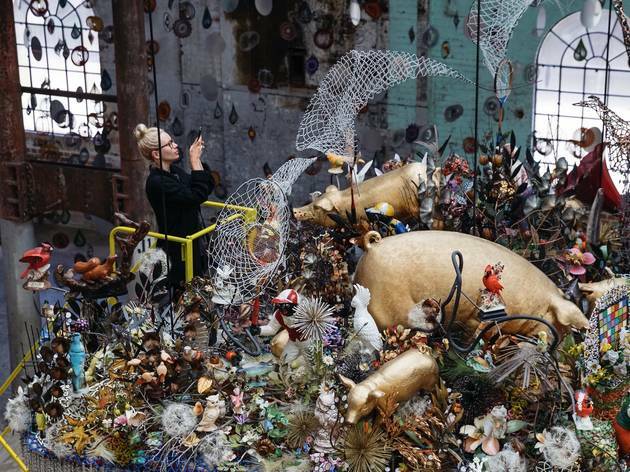 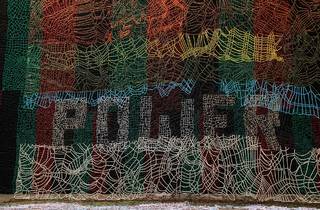 Check out our hit list of the best art to see this month.